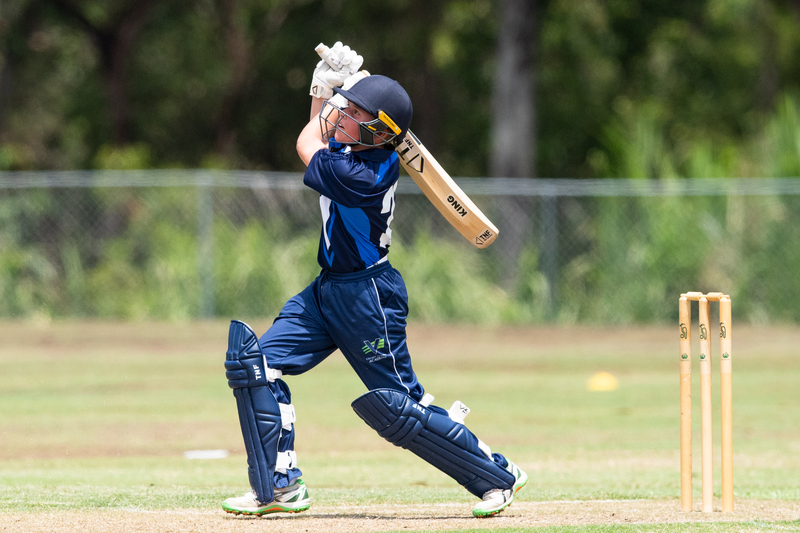 Victoria Metro and Country, as well as New South Wales Magenta have made the perfect start to their Under 15 Male National Championships campaigns, heading into the first rest day undefeated after two rounds. Vic Metro sits atop Pool A having defeated NSW Green in round one, and Tasmania today thanks largely to an impressive all-rounder performance from Harrish Kannan. Kannan complied 53 with the bat, helping Vic Metro post 9-206, before claiming 2-26 with the ball as his side restricted Tasmania to 166 in reply. Harry Dixson has also shown good form with the bat, producing scores of 28 and 30, while it’s been a team effort in the field and with the ball that has been the key. After a dominant round one win over the Northern Territory, Vic Country secured its second win of the Championships against Queensland to sit on top of Pool B. Vincent Huf led the way with the ball, claiming 2-7 to help restrict Queensland to 141, with a valuable 45 from Thomas Balkin helping Queensland put a competitive score on the board. Queensland’s bowlers fought hard, claiming wickets at regular intervals to give themselves hope, but Liam Blackford proved to be a thorn in their side, producing a defiant 74 to see his side home in the 34th over. NSW Magenta has also been in fine form, putting on strong displays against South Australia and Western Australia. Full of confidence after yesterday’s big win against South Australia, NSW Magenta posted 9-255 against Western Australia, with Jonah Trope (63) and Joel Davies (55) both post half-centuries. In reply Olivier Brehaut (53) fought hard, but his side couldn’t produce what was required to chase down the total. Owen Cole was on fire with the ball, claiming 4-42 from his ten overs. NSW Green and ACT/NSW Country had mixed fortunes in round one, but it was latter who claimed the points with a 94-run win. Batting first, ACT/NSW Country posted a huge total of 8-291 in a terrific team performance with the bat. NSW Green reached 3-103 in reply and looked to have a chance of chasing down the total, Asher Learmonth steering the ship with an impressive 77, but the loss of regular wickets made the going tough. Akshat Mishra contributed 38 runs to go with his three wickets with the ball, but it was all to no avail, ACT/NSW Country bowling NSW Green out for 197. In the final match of round two, South Australia overcame the Northern Territory to move up to third spot in Pool B. Both sides entered the match having suffered round one losses, but South Australia looked impressive from the onset, posting 6-257 thanks largely to Tejas Gill (67) and Carl Arnold (53*). The Northern Territory were all out for 149 in reply, despite the best efforts of Sam Elder (53) who had a strong match having claimed two wickets earlier in the first innings.